As I read my way through the year I find, by the end, that I've usually read at least several books, both fiction and nonfiction, that I think represent women's history in one form or another. Below are some of the books from this year. This is a book is a collection of stories (presented in chronological order) about the author’s grandmother, Lily Casey Smith. Lily told the stories to her daughter -- to impart life lessons -- who recounted them to the author. 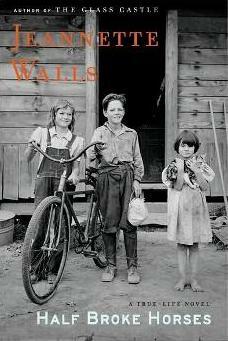 Walls commented that Lily was a very real person – she called her a character, with all due respect – but because she didn’t have the stories word-for-word and had to fill in some of the hazy or missing details with her own imagination, she thought the only honest thing was to call the book a novel. Lily was born in the early 1900s and grew up on a ranch in the Arizona territories. If she had had a weaker character or less stamina, her life would have been completely different. She helped her father break horses when she was six; traveled hundreds of miles alone on horseback when she was 15 to teach school; learned to drive a car and fly a plane; and, to a great extent, chose the life she wanted to live, or, at the very least, lived well the life that came her way. The book is written in the first person and I came away feeling that I had a good idea what Lily would have been like in real life: a character to love. Trudi, a milliner in Austria in 1938, shares her experiences trying to get herself, Walter (her boyfriend/husband), and her parents out of Austria just after Hitler has taken over. 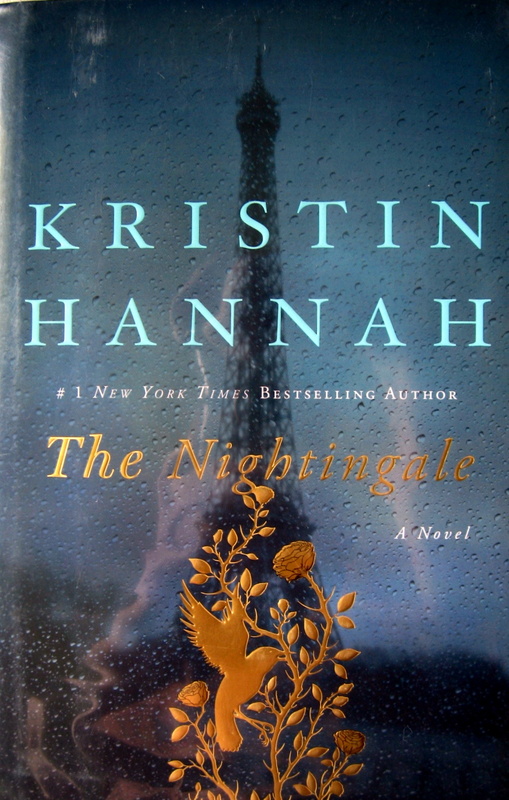 Her writing style – very simple sentences – took me a chapter or to appreciate, but it fit the story, somehow. 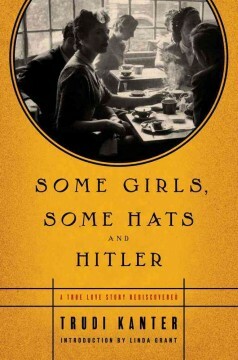 Her worry, concern, angst over being a Jew in Vienna during Hitler’s take-over of the country was emphasized by the simplicity. How she would get visas, money, pay taxes, etc., were very real concerns. But above all is her love and concern for Walter and her parents. For the most part, the story is told in the present tense, as though the reader were by her side during her experiences. 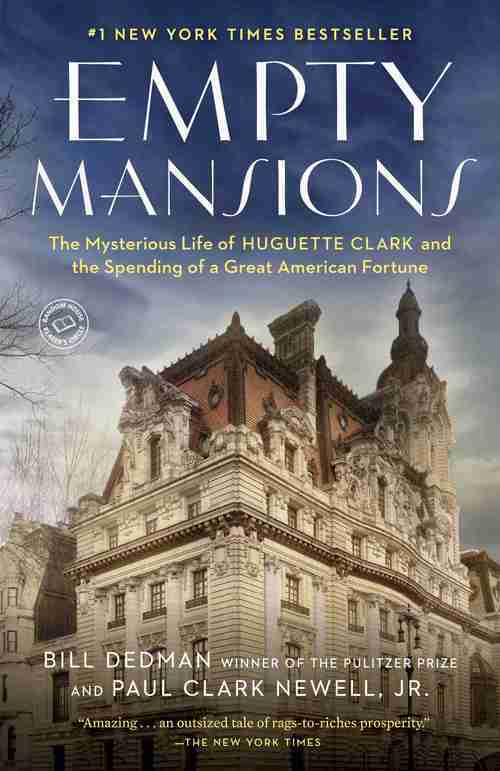 Empty Mansions: The Mysterious Life of Hugette Clark and the Spending of a Great American Fortune. Bill Dedman and Paul Clark Newell, Jr. I loved this book! The writing was interesting and it was well-documented with nearly 50 pages of notes at the end. It had photographs in both black and white and color. And it had heart. Hugette’s father, W.A. Clark, was one of the wealthiest men in America at the time he died in the late 1920s. (Every good biography these days includes a biography of at least one of the parents of the subject of the book. W.A. was born in common circumstances in 1839 in a 4-room log cabin in Pennsylvania. He moved from one success to another, accumulating wealth as the years passed.) Upon his death, Hugette (pronounced oo-GET) and four of her half-siblings inherited millions of dollars. In the book she was described as “shy” or “eccentric,” but as I read about her life I realized that she was an introvert. She was incredibly generous with her wealth and derived pleasure from sharing it with others. She was an artist, a musician, a doll-collector, and a lover of the arts. She owned paintings by Renoir, Monet, Manet, Degas, among others. She owned several mansions, yet lived in an apartment until she was in her 80s. She developed cancer of the face and moved to a hospital, staying there nearly 20 years until her death. Eccentric? Yes. But oh-so-interesting. Excellent! It was hard to stop reading. I think it’s the first book I’ve ever read about the French Resistance during World War II. It was as though I was drawn into the family, weathering with them every single year of the war, the hardships, the abuse, the fear, and the courage. Though fiction, it was inspired by a real-life resistance worker. Introducing the story and interspersed throughout are first-person narratives by an older woman who has cancer and is about to move from her home to a care facility. We understand that she is remembering the past as we learn about the characters. This is a book about making choices when no choice is a good choice; women alone trying to keep up with everything, women on their own with and protecting children; rationing when there’s little food to ration; who to trust; good vs. evil during war; avoiding/interacting with the enemy; courage in several of its many forms; physical hardship.... The list could go on. 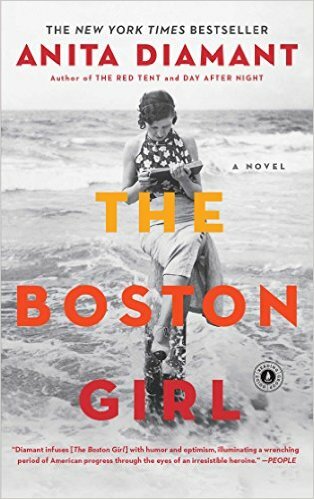 The Boston Girl. Anita Diamant. Addie, an 85-year-old Jewish grandmother, is asked about her life by her 22-year-old granddaughter. Addie was born in the early 1900s to immigrant parents. They are apprehensive and fearful about life in America, but by the time Addie is a teen she is ready to embrace life and take steps toward independence. It's a coming-of-age story that takes place at a time when changes were coming about for women. There were times when I could almost hear the mama in "Fiddler on the Roof" speaking. 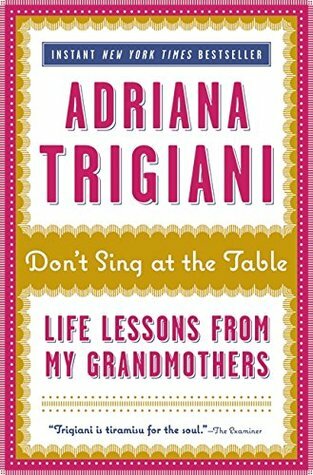 Trigiani's grandmothers, born in the early 1900s, were recent immigrants with strong ties to Italy and Italian traditions. Both worked in the clothing industry when young, married, and raised children. One opened her own blouse factory with her husband. The other, widowed at a young age, and supported her family as a couture seamstress in Chisholm, Minnesota. The author touches on dates and locations but she focuses on her grandmothers’ attributes, personalities, the lives they lived, the morals they lived by, and the values they held. In some ways I think this is the kind of book that every family historian should write about an ancestor he/she knows or knew. Irene was a 17-year-old Catholic nursing student when war came to Poland. She was captured, escaped, then captured again. When she saw the atrocities being committed, she chose to help: food under the ghetto fence at first, then transporting people in horse-drawn carts under piles of straw, then finally harboring a dozen people in the basement of a Wehrmacht major’s villa. She was “only a girl” but she did great things. Well worth the read. In fact, as I was reading it I was thinking this is a true life thriller. Surely, the evil being done in my county must be a poison that would ruin the soil, tarnish the air, and foul the water. Sometimes, when I thought of the amount of hatred dwelling in Poland, I was surprised to see that the grass was still green, that the trees still flourished their leaves against a blue sky. And yet they did. It is a terrible irony of war, that nature itself does not rebel when man turns against his brother. I have seen nightmares take place on beautiful spring days. The birds can hop from one branch to another, tipping their heads and honing their small beaks against the bark while a child dies in the mud below. The setting is 1950s Poplar, an area of London, England, near the docks where the primary dialect is Cockney. Nurse Jennifer Lee works as a midwife with a group of nuns who serve the women of the area. Most chapters are self-contained stories, though some stories continue for several chapters. One of the interesting aspects of the books is being able to learn how the author's perspective changed as she came to learn about and know the people she served. If you're interested in language, dialect, accents, and slang, be sure to read "On the difficulties of writing the Cockney dialect" in the appendix. It's a dozen pages of fun. Jennifer Worth wrote two sequels to this book. I'll be reading them soon. Copyright ©2016-2019, Nancy Messier. All Rights Reserved. Oh Nancy! This must be why you write your own stories so well - you read such interesting stories. I am currently reading a kindle book called A Penny and an Egg: The Early Years of a Country Boy by WJH Holding. It is a memoir of a boy who grew up in Cornwall in England. Very interesting. I am hoping I can learn how to write history. Thanks for the suggestions. You are too kind to compliment my writing, Kathleen. I was hoping our local library would have A Penny and an Egg, but no such luck. It sounds very interesting. Thanks for mentioning it. I think I'll ask the library to order it. I loved Call the Midwife! Thanks for reminding me that I want to read the original memoir. Thanks for the comment, Nicole. I just thought I'd let you know that Jennifer Worth wrote three books about her experiences in Poplar, not just one. I discovered the other two a day or so ago. Thanks for your thoughtful reviews and recommendations, Nancy. "Half-Broke Horses" is one of my favorite books, so I was glad to see it high on your list. I've also read "Don't Sing at the Table," and I have "The Nightingale" but haven't read it yet. Now I can't wait to get started! I just finished reading "In the Unlikely Event" by Judy Blume. While the characters are fictional, it's based on news accounts and Judy's memories of growing up in Elizabeth, New Jersey, in the 1950s, when three airplanes crashed in the city. I found it really interesting, so thought I might mention it. Keep on reading and sharing your thoughts with us! I hope you enjoy The Nightingale, Shelley. It really is one of my favorites. I reserved In the Unlikely Event and will read it when it comes. Thanks for recommending it.